The Universal ADB Driver will helps you to connect your Android Smartphone and Tablets to the Computer easily and quickly. You can use the Mirror Links to get the driver on your computer easily. 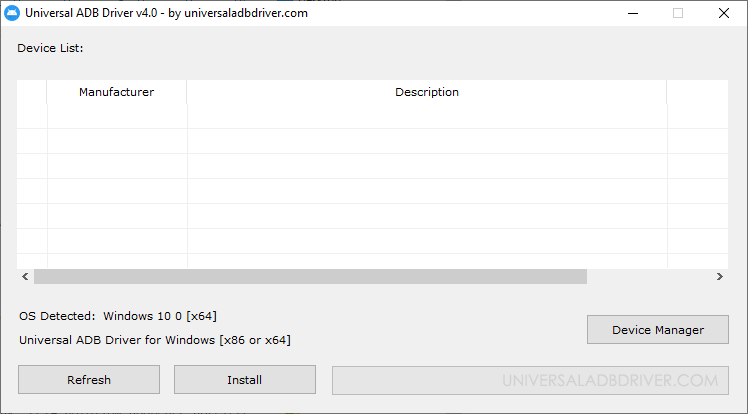 [*] How to Install: If you want to learn how to install Universal ADB Driver on your Windows Computer then see How to install Universal ADB Driver. [*] Download Latest Universal ADB Driver: If you are looking for the latest Universal ADB Driver then head over to our Download Section. [*] Download Stock Firmware: There are various good websites out there from which you can download the Stock firmware for free including firmwarefile.com and androidmtk.com. [*] Always Scan First: We have officially scanned the universaladbdriver_v4.0.zip File before sharing it here. You can see the Scan Data of universaladbdriver_v4.0.zip on VirusTotal.